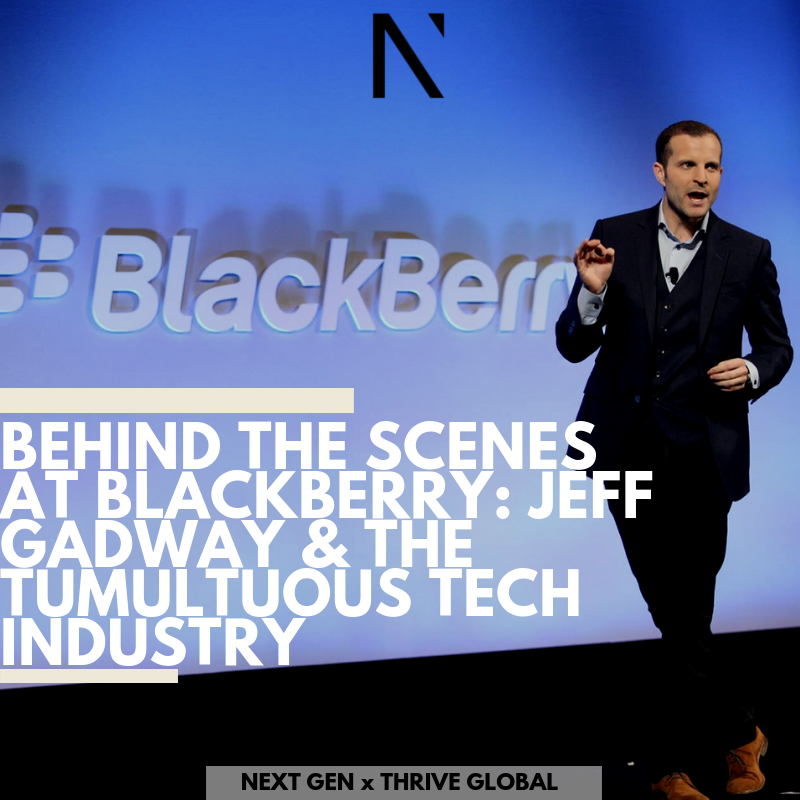 It was 2006, and Jeff Gadway was still in college when he joined the team at Research in Motion – the company that created the BlackBerry. Ah, yes, the BlackBerry. I was not yet of cell-phone usage age in the height of BlackBerry’s dominance but everyone who was someone had a BlackBerry. They appeared in movies, commercials, and I watched my childhood best friend’s mom, who owned her own PR company, type away on her beloved gadget day in and day out. The ‘cool’ factor of a BlackBerry was impressionable upon everyone. A born and raised Canadian, Jeff was finishing up his college years at Wilfrid Laurier University in Waterloo ON when he became the Carrier Marketing Manager at BlackBerry. He quickly rose through the ranks to serve as the Director of Worldwide Product Marketing for them, which catapulted him into a public-facing role. By Jeff’s mid 20’s, he was responsible for launching new products that were changing the tech game; managing multi-million dollar budgets; guiding global agencies; overseeing a Super Bowl TV commercial shoot, giving media interviews and setting marketing strategy for global products. As the company spokesperson, he conducted the product demos for global launches, sold $1,000,000 of BlackBerry phones on home shopping channel in 12 hours, and was featured on CNN, NBC, Today Show, WSJ, NYT. He was BlackBerry’s “go-to” influencer: the point person for celebrity BlackBerry users like J-Lo, Marc Anthony, SJP, Matthew Broderick, Alicia Keys, Cuba Gooding Jr., Tim Allen, Haim, and more. Jeff joined a fast-growing startup called Vidyard, a YC graduate backed by leading SaaS VC firms. He joined when the company was just shy of 40 people to lead product marketing and help the company grow from selling one product to one market to a multi-product, multi-use case go-to-market strategy. After 2.5 years, he left Vidyard to found Galvanize Worldwide, a marketing and PR firm that helps founder-led companies craft and tell their authentic stories. That insatiable curiosity for your field will inevitably lead you to opportunities, and keep your eyes on the horizon for potential competitors. Jeff Gadway certainly learned this after Blackberry, and has harnessed the wisdom from his experience to forge his own path in the tech field. Want to learn from other industry leaders and meet other tech gurus like Jeff? Join the Next Gen community here. YOU are the answer you are seeking.